I got the Faber-Castell Loom as a birthday gift from my aunt. She purchased it while she was on holiday in Malaysia so I don’t know how much she paid for it. She picked the lime green model with a M nib for me. Many thanks to her for my birthday gift, now on with the review. The Loom came in a very nice white cardboard box with the Faber-Castell Logo on it. There is a small valley inside where the pen is resting in. 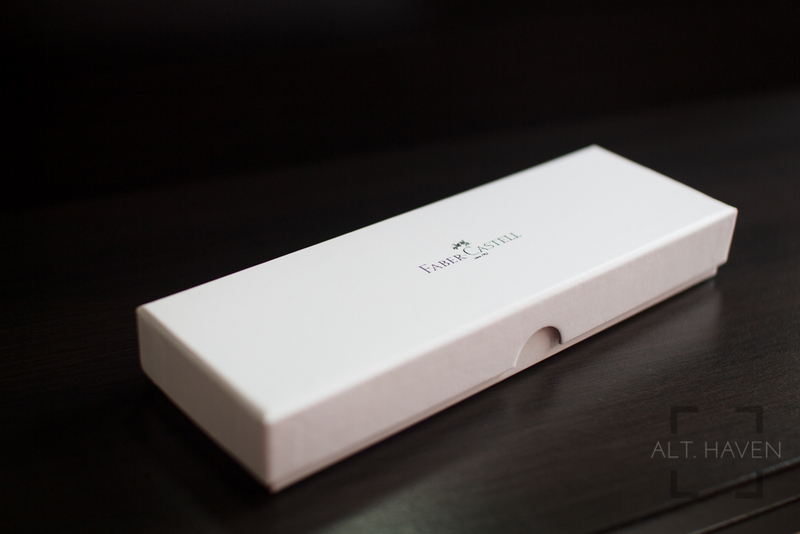 It’s a compact and functional box that works well. It isn’t expected to protect the pen for any long periods of time. The Loom is a pen with metal body, it has quite a heft to it. The shiny barrel and clip is an utter finger print magnet. The barrel is mostly a cylindrical shape before tapering down towards the grip section. In the hand, the Loom though heavy isn’t unbalanced. The plastic cap be posted but it doesn’t throw the balance off because the cap is light. 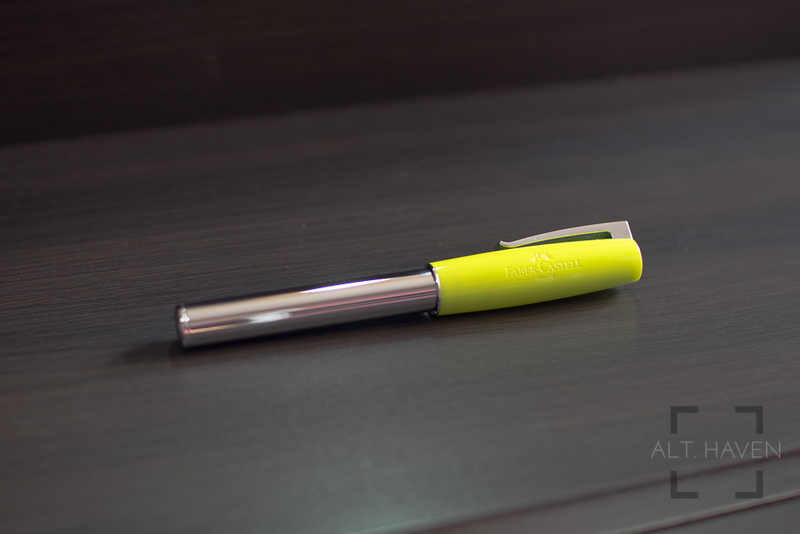 The lime green plastic is bright and stands out against the shiny pen barrel. 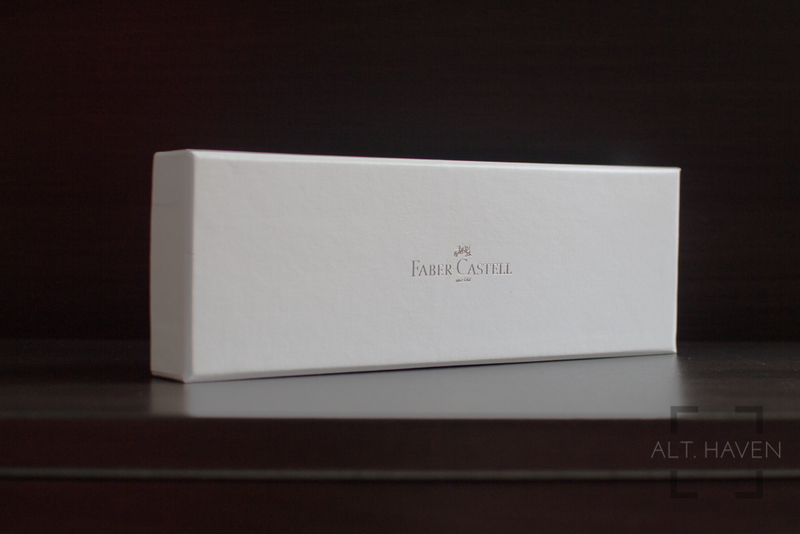 The Faber-Castell Logo is stamped into the side of the cap. At the top of the cap you can see the Faber-Castell logo. The clip is the same shiny material as the barrel. It is a spring hinged clip that lifts easily. The shape of the clip is quite plain. It is the same width throughout and it is slightly upturned at the end of the clip. The cap pulls free only with a deliberate pull. Pull it like you mean it. It snaps back with a satisfying click also requiring a deliberate push. The grip is chrome plated and has a brushed matte finish. The section has 5 raised rings around it which helps with the grip as well. The Loom’s section is generously long plus there isn’t a step between the barrel and grip, it is technically all one piece. The section though smooth does have adequate grip though not as much the Tactile Turn Gist. 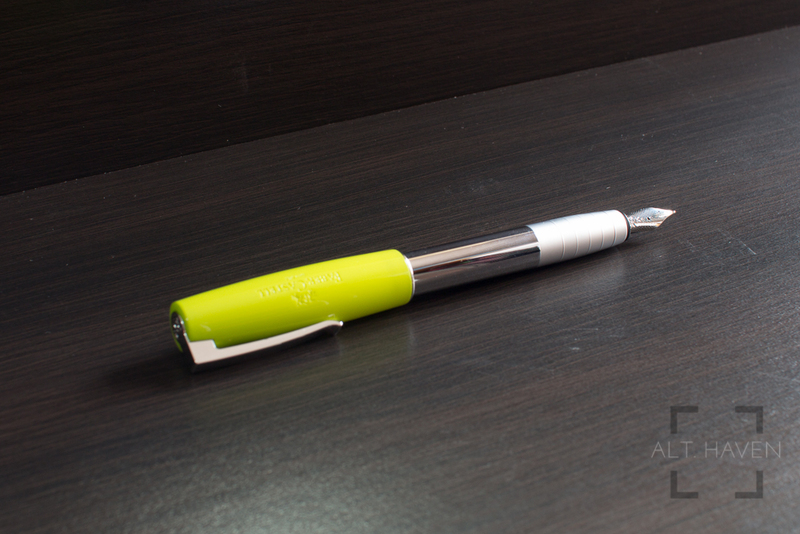 The Faber-Castell Loom is a cartridge converter fountain pen. It takes the standard international converter, long and short cartridges without any problems. A medium nib won’t be my choice if I was the one who purchased the Loom. 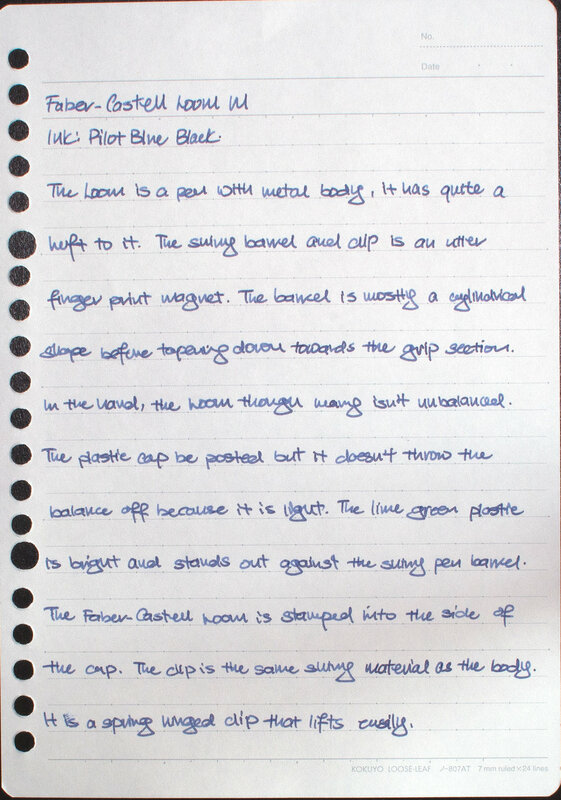 Faber-Castell’s nibs tend to write wet and their stainless steel nibs are reputed to be one of the smoothest in the fountain pen world. As expected, the medium stainless steel nib writes wet but not overly so. 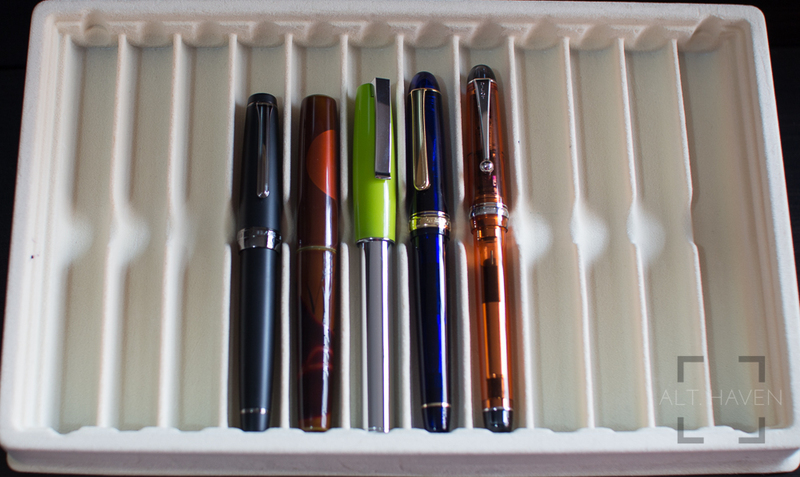 It is manageable as long as I pair it with dry inks from Graf von Faber-Castell or Pelikan. I can attest that Faber-Castell have some of the smoothest stainless nibs out there. My medium nib writes very smoothly right out of the box. It is that polished. The nib is so smooth that I find it hard to get it under control. It feels like the Loom is running away on its own especially when writing on good paper. Too smooth can be a bad thing too. It’s all a matter of balancing the trifecta between pen, paper and ink. Personally I think I would enjoy the nib more if it was in EF or F but that’s just my preference. 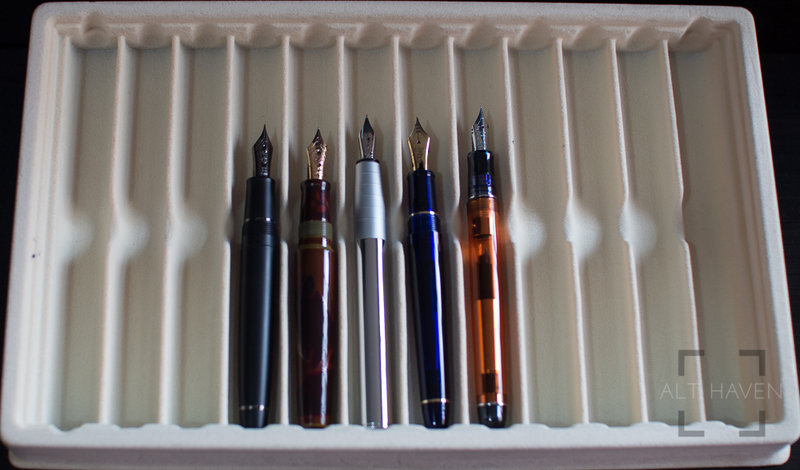 The Faber-Castell Loom is a great beginner fountain pen. It has a variety of colour choices and has a easy to maintain filling system. Plus it uses the standard international converter and cartridge system, there are a wide variety of inks available in cartridge form. 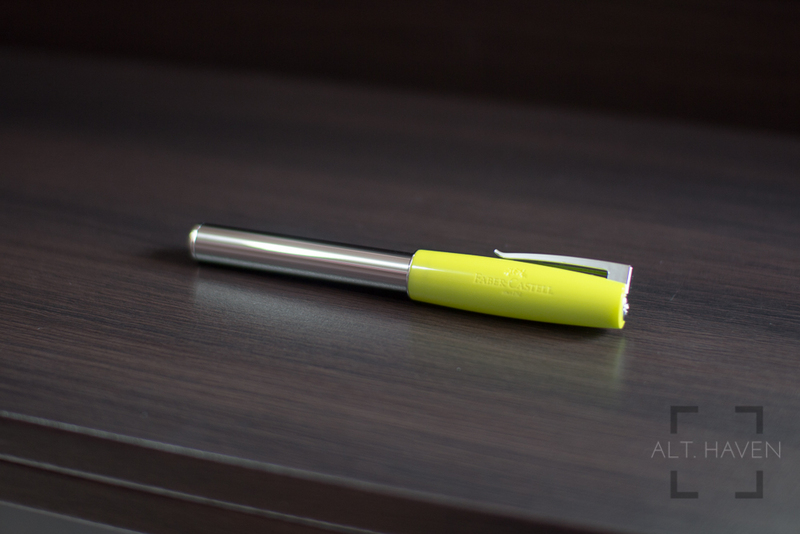 Though it is not as value for money as a TWSBI Eco might be but that nib would help transit gel pen users to the fountain pen world, since they are used to smooth writing experiences.